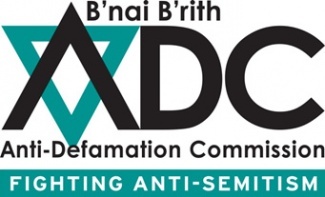 The Australian Anti-Defamation Commission (ADC) is the Australian equivalent of America’s Anti-Defamation League (ADL). Both organizations fall under the umbrella of B’nai B’rith International which holds NGO status at the United Nations. The stated mission of the ADC is to make Australia “a better place” by fighting “anti-Semitism and all forms of racism” and combatting “the defamation of the Jewish people and Israel.” Describing itself as a “harm prevention charity,” the ADC claims to be dedicated to “promoting tolerance, justice and multiculturalism.” But despite its pious pretentions to universal benevolence, the ADC, like countless other Jewish activist organizations around the world, exists to promote the ethnic interests of Jews. The “harm” this organization is determined to prevent is any harm to these perceived interests. The main mass-membership advocacy organizations of American Jewry — B’nai B’rith and its Anti-Defamation League (ADL), the American Jewish Congress, the American Jewish Committee, the Council of Jewish Federations and Welfare Funds, the National Conference of Jewish Federations, and the Conference of Presidents of Major Jewish Organizations (a kind of steering group for the major organizations), to mention only a few — are not religious organizations but ethnic ones. It is not necessary to have any Jewish religious affiliation to be a member in good standing in these organizations, and their leaderships are composed mainly of people who are not religious or Jewishly learned Jews. Reaching this demographic tipping point is the desired culmination of the Jewish-led abandonment of the White Australia policy. 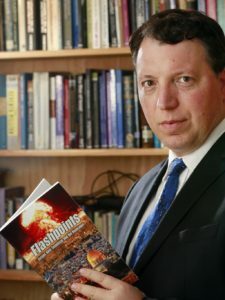 The former national editor of the Australian Jewish News, Dan Goldberg, proudly acknowledged that “Jews were instrumental in leading the crusade against the White Australia policy, a series of laws from 1901 to 1973 that restricted non-White immigration to Australia.” Australia’s current immigration and refugee policies, left unchecked, will ensure White Australians are progressively replaced in the country their ancestors created by groups with higher fertility and often an abiding antipathy to the founding stock. 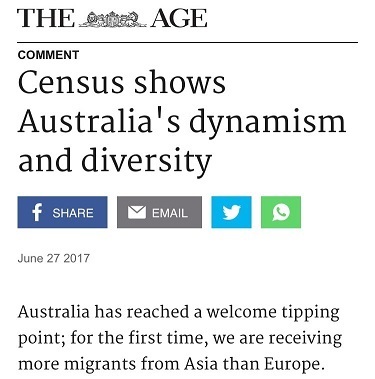 Whites are already minorities in several suburbs of Melbourne and Sydney and face declining living standards as crime grows exponentially, housing affordability deteriorates, infrastructure is strained, and taxes rise to fund burgeoning public spending directed disproportionately to migrants and refugees from the Middle East and Africa. Meanwhile, non-White groups that are economically self-sufficient, like the Chinese, increasingly dominate the best schools and universities, jeopardizing White Australians’ access to professional employment opportunities. They have also pushed home ownership out of reach for millions through buying up Australian real estate. The ADC certainly cannot be accused of duel loyalty. 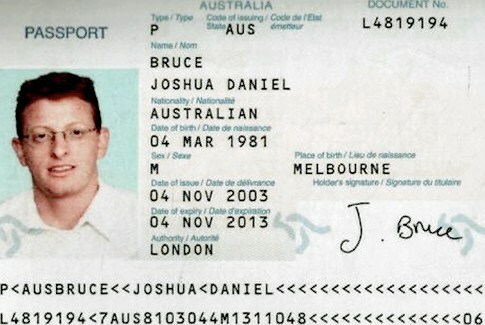 When Israel was caught in 2010 using faked Australian passports to conduct covert operations around the world (including the assassination of Hamas leader Mahmoud Al Mabhouh), then Australian Foreign Minister, Stephen Smith, observed that “we do not regard these actions as the actions of a friend.” The ADC, in its singular refusal to condemn Israel’s actions (which seriously endangered all Australian passport-holders), tacitly pledged its undivided and unconditional allegiance to the Jewish state. One searches in vain through the assorted propaganda on the ADC’s website for any acknowledgement that Israel was founded on terrorism and ethnic cleansing in which Palestinians were killed or violently driven from land they occupied for millennia to make way for Jewish settlers, or that Israel’s immigration policy openly discriminates against non-Jews, or that Israel bans marriage between Jews and non-Jews (which is subject to a two-year prison term), or that Israel has a two-tier political and legal system akin to the old South African apartheid. Instead one finds a statement defending Zionism as the “belief that Jewish people, like all other peoples, have the right to self-determination in a country of their own.” The mendacity of this statement should be clear to anyone. The ADC and other Jewish activist organizations in Australia, the United States, and throughout the West absolutely deny the right of White people anywhere to self-determination. As always, these Jewish activists play ethnic hardball when it comes to Israel, but sanctimoniously deny the irreconcilability of the competing interests of the various ethnic and religious groups that now make up Western nations. Given the ADC’s fervent advocacy for Israel, despite that nation’s harshly-restrictive policies toward African and all other non-Jewish migrants and refugees, Abramovich’s (and the ADC’s) sanctimonious words about the virtues of “diversity” and “multiculturalism” are exposed for what they are: a rhetorical mask for ethnic aggression against White Australians. The ADC promotes pluralism and diversity and encourages the dissolution of the racial and ethnic identification of White Australians, while encouraging Jews to maintain precisely the kind of intense group solidarity they decry as immoral in Whites. Activist Jews have initiated and led movements that have discredited the traditional foundations of Western society: patriotism, the Christian basis for morality, social homogeneity, and sexual restraint. At the same time, within their own communities, they have supported the very institutions they have attacked in Western societies. One of the ways that ethnic groups compete is through controlling what goes into the minds of their competitors. That is why Jews always seek to control the media and entertainment industries — so they can fill the heads of their ethnic rivals with maladaptive ideas that harm them and which, as a result, help Jews to thrive. Prior to the unmediated peer-to-peer communication offered by the internet, all mainstream political discourse passed through a Jewish media filter (or at least a media filter subservient to Jewish interests). Jews are the only people that, except for the internet, control the flow of information throughout the West, and have a profound need to do so. When Jewish motivations and behavior become widely known, anti-Jewish sentiment inevitably rises. Jews are not majority shareholders in the two largest media companies in Australia, Fairfax and News Limited. Despite this, they have a large journalistic presence at both organizations, and both companies syndicate material from Jewish-controlled and left-leaning media companies. Fairfax syndicates content from the New York Times, the Washington Post, and Reuters (headed by President and Editor-in-Chief Stephen J. Adler), while News Limited syndicates content from the Associated Press (headed by Chairman Steven R. Swartz). Both media companies also provide a regular public platform for the various leaders of Australia’s Jewish activist organizations, including Dvir Abramovich, Colin Rubinstein, Vic Alhadeff, Peter Wertheim, and Mark Liebler. Another important part of the Jewish matrix of power in Australia is the media infrastructure created by the multimillionaire property developer and publisher Morris (Morrie) Schwartz. This Jewish media mogul, who migrated to Australia from Hungary via Israel, is the proprietor behind Black Inc. publishing, the left-wing journals The Monthly and Quarterly Essay (which have been called “the most powerful left-wing voices in Australia”), and The Saturday Paper. Schwartz’s various media organs churn out a never ending stream of articles indignantly demanding that Australia dramatically increase its refugee intake and end the off-shore processing of asylum-seekers. Morrie Schwartz at Black Inc. or The Monthly, you work very closely with the publisher and things do get spiked and you have raving rows about what goes through and what doesn’t and there are certain glass walls set by the publisher that you can’t go outside of and … one of those is Palestine. I mean it’s seen as a left-wing publication, but the publisher is very right-wing on Israel. … And he’s very much to the, you know, Benjamin Netanyahu end of politics. So you can’t touch it: just don’t touch it. It’s a glass wall. 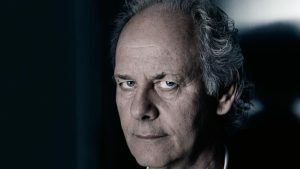 In her profile of Schwartz for The Australian, journalist Kate Legge noted that “everyone says Schwartz responds viscerally” to all issues concerning Israel. She quotes his close friend, the Jewish academic Robert Manne, who pointed out that “Loyalty to the idea of a Jewish homeland is very important to him.” Former editor of The Monthly, Peter Craven, observed that: “He’s very one-eyed on these sort of things. I once said to [his wife] Anna that I was going to see [the Wagner opera] Tristan and Isolde and she said, “Peter. I won’t even buy German goods.” Schwartz’s sister-in-law, Carol Schwartz, was recently appointed to the board of the Reserve Bank of Australia. Back in the days when the hammer and sickle flew proudly, the Soviet Union would spend big dollars on paying for journalists, academics and diplomats to see for themselves the “workers’ paradise.” It was part of a long term and relentless strategy by the Communists to win the propaganda war against the West. Today the heirs and successors of those Soviet-sympathising journalists head to Israel. … The Israelis have clearly learnt a thing or two from the Soviets. They understand how important it is to roll out the red carpet for the media, by offering them carefully choreographed trips to Israel and in return ensure that their spin on events is planted in the minds of the Western media. Albrechtsen is not alone in being feted by the Israeli propaganda machine. The Sydney Morning Herald’s Paul Sheehan is another. Just as the Soviets carefully selected the journalists they wanted to show around the country, so is the case with the Israelis. The Soviets would go for leftist sympathizers in papers such as the New York Times, The Guardian and other influential mastheads. The Israelis also favour sympathetic writers. Greg Sheridan as recently as May 6 was comforting poor Israel because “second to the US, Israel is the most acute object of the hostility to the West that flourishes in Western intellectual life.” One is tempted to evoke the immortal phrase “useful idiots,” attributed to Lenin, and used against Western journalists who fell for Soviet propaganda in the 1930s, to describe Western journalists who accept paid trips from the Israeli authorities. Despite all the foregoing, the advent of the internet has seriously undermined the capacity of Jews to comprehensively regulate public discourse in their own interests. Organized Jewry in Australia has responded to this disturbing development with a multifaceted approach. They have lobbied aggressively for the enactment and extension of Orwellian “hate speech” laws (like the notorious Section 18C of Australia’s Racial Discrimination Act) to counteract “online abuse.” Abramovich claims such laws “are a vital and necessary tool in addressing and countering the unique harm caused by bias-motivated hate speech.” In addition, the ADC has launched various “educational” programs in schools like “Click against Hate,” which is an “early intervention” program for goyish schoolchildren from Years 5 to 10. 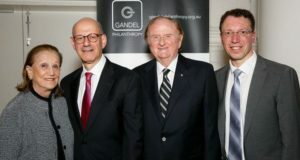 The program is offered free of charge to schools as a result of funding provided by billionaire Jewish property developer (and ardent Zionist) John Gandel. Gandel also happens to fund Taglit-Birthright Israel, a program that provides free ten-day tours of Israel for young Jews who are “currently unaffiliated with the Jewish community and have never visited Israel.” Announcing the funding, Gandel declared that “My family strongly believes in supporting a range of programs that can foster and enhance Jewish continuity and identity, and help develop the future leaders in our community.” The Zionist Federation of Australia thanked Gandel and extoled Taglit-Birthright Israel as “a critically important Israel program” that serves to “engage many young Jewish adults with the powerful connection to Israel, Judaism and other young Jews they meet during and after the program.” Thus, while seeking to increase Jewish ethnocentrism and ethno-nationalism through his funding of Taglit-Birthright Israel, Gandel simultaneously funds “Click Against Hate,” a program specifically designed by the ADC to reduce White ethnocentrism and promote the virtues of “diversity” and “multiculturalism” among Australian schoolchildren. According to the ADC’s website, “Click Against Hate” teaches students “to deal with a wide range of issues including: identity theft, invasion of privacy, cyber bullying, incitement, defamation, online dangers, YouTube and Facebook reporting, anti-Semitism, Islamophobia, racism, homophobia, freedom of speech, vilification, obscenity, contempt of court, website reliability, primary and secondary sources.” Under the guise of an educational program designed to promote cyber-safety and pro-social behaviour, “Click Against Hate” pushes a Jewish ethno-political agenda entirely contrary to the interests of the White Australian children involved. It promotes feelings of guilt and shame in White children, and foments grievance among non-White children — encouraging them to join Jews in mounting moral critiques of White Australian society and history. I recently obtained a recording made by a disgruntled student of a “Click Against Hate” session. In the subsequent parts of this article, I provide excerpts from this session together with my observations and comments. Adam Garfinkle, Jewcentricity: why the Jews are praised, blamed, and used to explain just about everything (Hoboken NJ: John Wiley, 2009), 167-68.